Aqueous Two-Phase Systems (ATPS) have been used since their discovery for the isolation of a large number of different biological materials, such as animal and plant cells, microorganisms, viruses, cellular organelles such as chloroplasts, mitochondria, membrane vesicles, and also in the purification of proteins and nucleic acids. 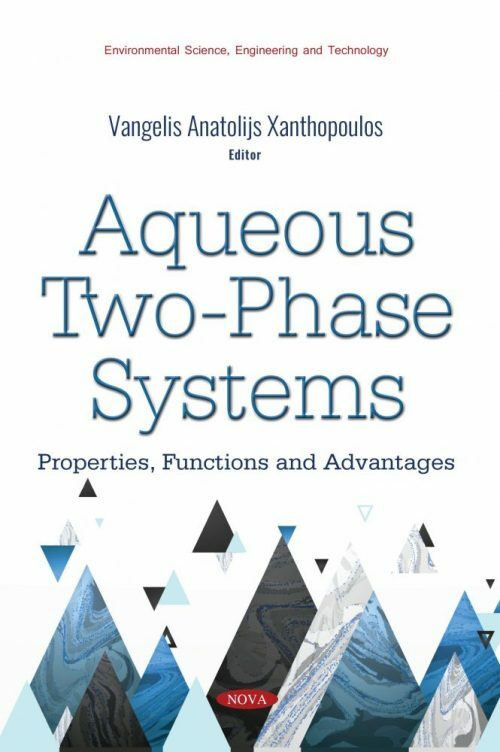 In Aqueous Two-Phase Systems: Properties, Functions and Advantages, the authors begin by discussing the benefits of these systems. The following chapter presents the main forms of the purification of lipases from aqueous biphasic systems, addressing and discussing the fundamentals for the formation, use and optimization of these systems applied in the biotechnological context. The authors address the basis of aqueous-biphasic systems, aqueous two-phase systems for enzymatic purification, purification of lipases and combined uses of aqueous two-phase systems. The most important experimental parameters that affect the efficiency of metal ions extraction in aqueous PEG-based two-phase systems are examined to provide a starting point in the design of a suitable system for the extraction of metal ions. Compared to the conventional solvent extraction, which uses toxic, flammable and volatile organic solvents and can be quite expensive, the extraction in aqueous PEG-based two-phase systems is considered a more environmental friendly and economically viable method. Also in this compilation, an overview about application of ATPSs in microstructured devices is provided. Microstructured devices offer potential benefits due to well-defined high specific interfacial areas available for heat and mass transfer. These areas increase transfer rate and enhance yield, selectivity and process control. The application of ATPSs in Micro Total Analysis Systems (-TAS) is described as well.